Seagoville Computer Repair Service has provided the best mobile computer repair in Seagoville, TX and the greater Dallas-Fort Worth Metroplex since 1999. The term "mobile computer repair" means we come to you, to your home or business, to resolve all your computer problems. We repair laptops, desktops, PCs and Apple computers. One of our highly qualified staff will meet you at your home or office, often the same day, to take care of all your repair needs. Why not use the #1 rated company for computer repair in Seagoville, TX? "Very Good! Saved me from buying a new computer." "Ben was amazing and insightful. We cannot thank you enough." "I had the greatest experience with the technician. My computer is running better than it ever has. I had to get a new hard drive and he was able to ensure all my files came over and I did not lose anything. I am 1000% satisfied. He was awesome. He was very knowledgeable and personable. I would give him 100 stars." "Matt did a great job, solved a number of my issues , would recommend him and the company." "Polite, professional, well done. I received excellent solutions to my computer problems. He helped me understand what I needed to do in the future, and setup an online backup for my computer." Who is Seagoville Computer Repair Service? 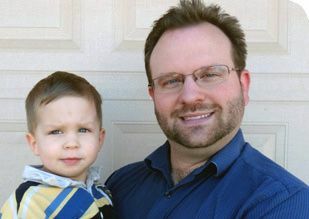 Seagoville Computer Repair Service is owned by Matt Karls, an Electrical Engineer and a Computer Systems Engineer. We are a team of computer professionals focused on Service and quality, all our work is guaranteed. If you have any computer, technology or IT problem in Seagoville, TX we can fix it. We have been performing computer repair in Seagoville full time since 1999. Feel free to give us a call or text us at (469) 299-9005. Our primary on-site mobile Service areas include the greater Dallas-Fort Worth Metroplex and the Phoenix, Tucson, Las Vegas, San Diego, Salt Lake City and Denver metro areas. 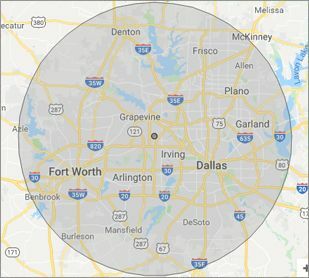 We provide remote and mobile computer repair in Seagoville, Addison, Allen, Arlington, Balch Springs, Bedford, Burleson, Carrollton, Cedar Hill, Colleyville, Coppell, Dallas, Desoto, Duncanville, Euless, Farmers Branch, Flower Mound, Fort Worth, Frisco, Garland, Grand Prairie, Grapevine, Haltom City, Highland Park, Hurst, Irving, Keller, Lancaster, Lewisville, Little Elm, Lucas, Mansfield, McKinney, Mesquite, Murphy, North Richland Hills, Plano, Prosper, Red Oak, Richardson, Rowlett, Sachse, Southlake, Sunnyvale, The Colony, Trophy Club, University Park, Watauga and Wylie. Our mission is to fully resolve your computer problems quickly and affordably. If you want a Computer Engineer that can fix all of your computer problems instead of a computer tech, a computer geek, a technician or a computer guy that can only fix some of your problems; call us at (469) 299-9005. "Very polite and helpful. Very fast transferring my files from my old computer to my new one. Very happy I found them. They are my computer guys now." "Excellent, all is working, thank you." "Jason was the epitome of professionalism. He was so knowledgeable as well as thorough. I would use him anytime. I am extremely happy and thank you very much."